Not a lifelike model, smaller than a real hand size. Made of plastic. 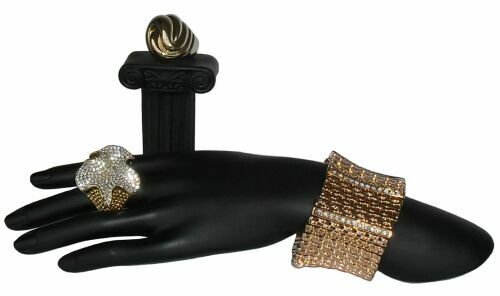 Laying elegant hand is an eye catching rings, pendants, chains and bracelet display. Hand: 9.5"L x 2.5"W. Pedestal: 3"H x 2"W. Item #: JD-H10 Price: $14.00ea. Color: black.